In the years after the Second World War, Chinese and Polynesian influences in food were in vogue. The exotic and the colorful, the allure was understandable and such restaurants as Trader Vic’s became famous for their Polynesian food and atmosphere even if authenticity was in question. This recipe harkens back to those days with a tasty, tender chicken with a hint of the exotic, colorful sweet and sour sauce. It requires only a few minutes preparation over two days and the result is delicious. 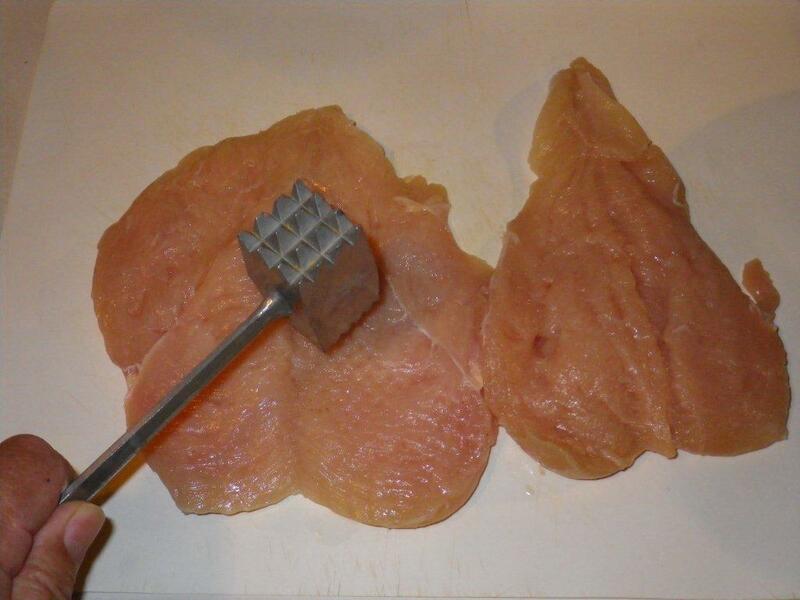 The night before serving, prepare two boneless, skinless chicken breasts by first butterfly cutting them and then using the tenderizing mallet to even out the thickness. Placed them in a brine solution made of salt, brown sugar and white pepper. Cover and let them soak in the brine overnight in the refrigerator. 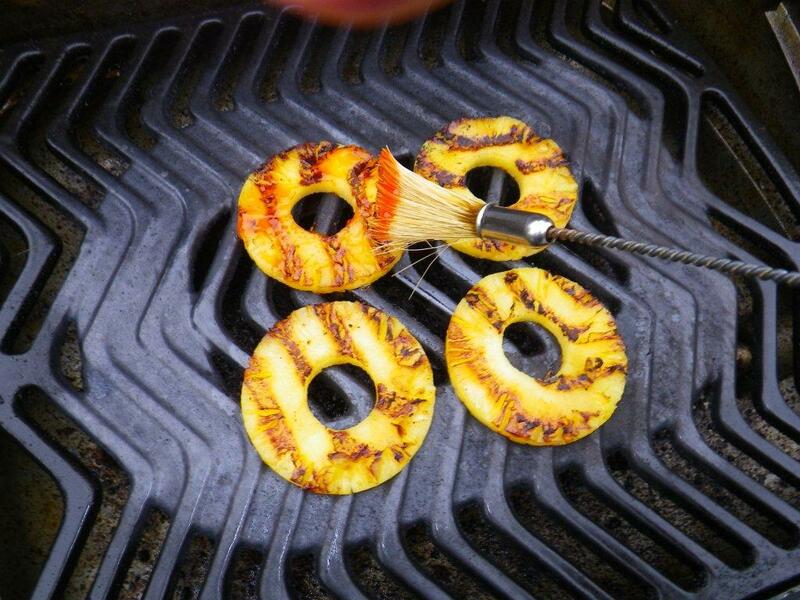 On grilling day, grille pineapple slices and lightly baste with the sweet and sour sauced. Set aside and keep warm. Prepare a garnish of red onion and red, green and yellow sweet pepper slices. Cut the outer rings of the red onion in thirds and the inner rings in half to make approximately equal length onion strips. 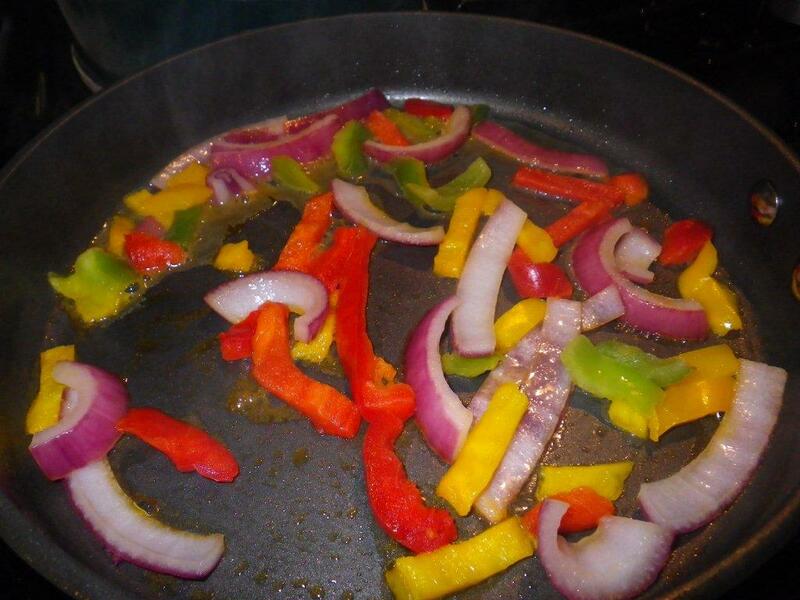 Sauté the onion and Bell pepper strips in butter until just soft and tender. Mix with just a bit of sweet and sour sauce. Set aside and keep warm. 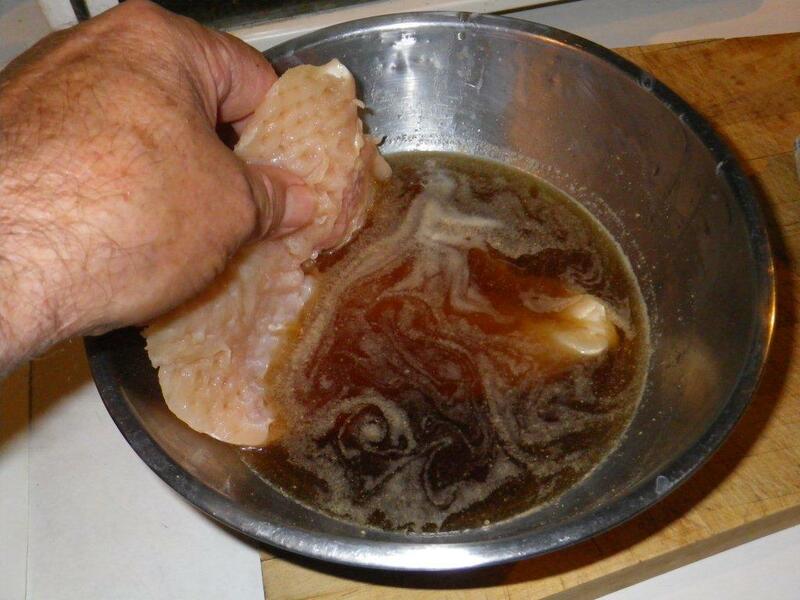 Remove the breasts from the brine and pat them dry with a paper towel. Preheat the gas grill, then turn the gas down to medium. Grill in minute and a half increments; one side, turn the chicken over, turn 90 degrees, then turn over again, for a total cooking time of 6 minutes. On the last two turns brush with a light coating of sweet and sour sauce. 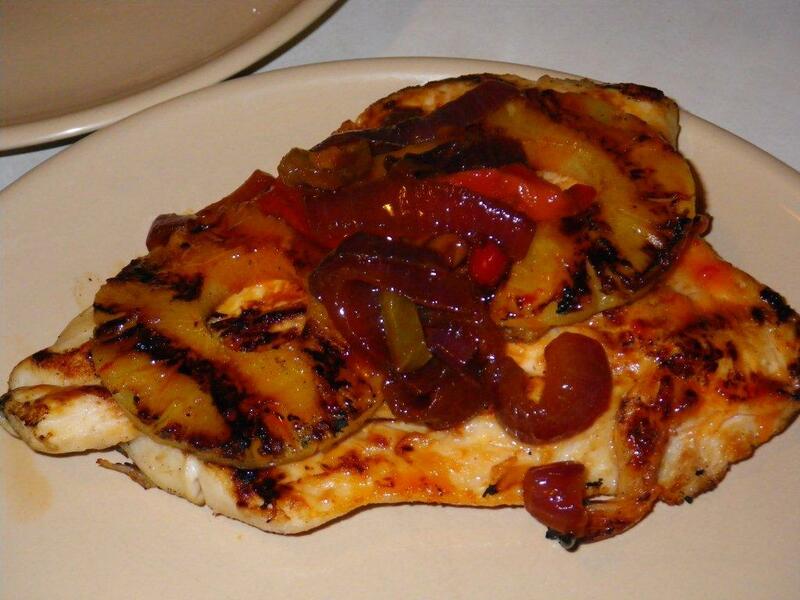 For serving, place a chicken breast on a serving plate, added two grilled pineapple slices and then garnish with the onion and sweet pepper sauté. 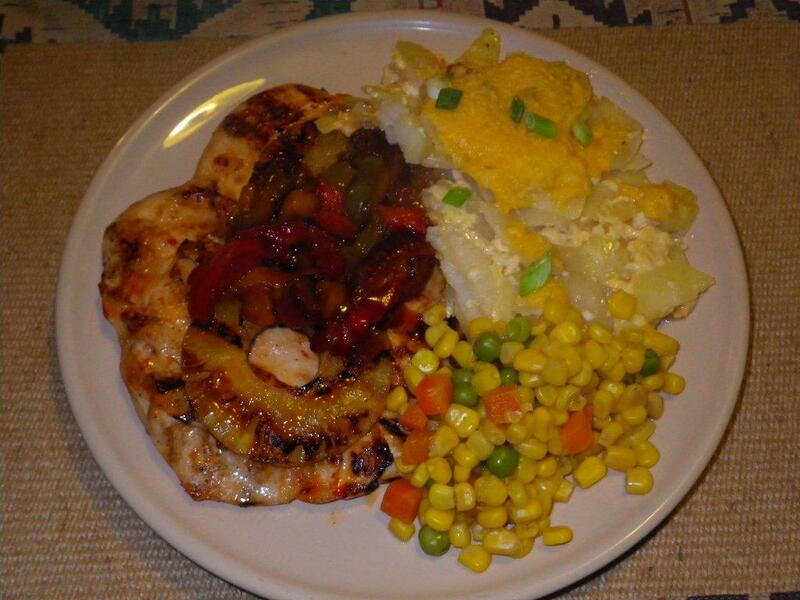 The idea is to make a tasty chicken with a hint of sweet and sour. Just baste the pineapple with enough sauce to glaze. Add just enough sweet and sour sauce to the onion and peppers to lightly coat them. 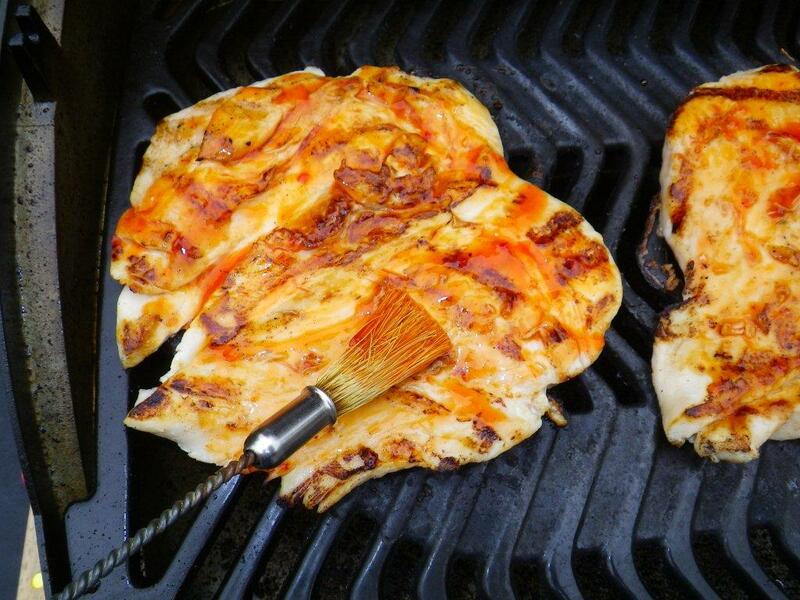 When basting the chicken on the grill, use just enough sauce to make a glaze. The result is a tasty, tender chicken with just a hint of sweet and sour but not enough to overpower the taste of the chicken.